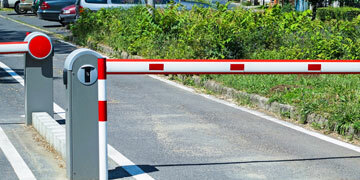 Your perimeter gate entrances / exits are your first line of defense protecting your property. QSA offers quality gate installation and service of your barrier arms, sliding and swing gates. Gate controls are a very important aspect when it comes to parking lots and vehicle security and control. A gate control system is a means of controlling revenue for public parking lots and preventing unauthorized vehicles access to certain areas. Revenue Controls for transient parkers usually include ticket issuing machines at the entrances, and parking fee computers at the exits. The calculated parking fee is displayed to the cashier and to the customer with the details of the transaction being recorded and used for revenue and statistical reports. Our experienced technicians will ensure your system is properly converged with your access control and communications systems, creating an efficient means of securing your property.